Indianapolis, Indiana – Attorneys for Plaintiff, Thrush Co., Inc. of Peru, Indiana filed suit in the Southern District of Indiana alleging that Defendant, Wessels Company of Greenwood, Indiana infringed its rights in United States Patent No. 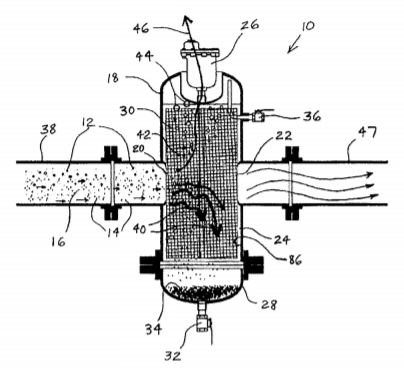 8,177,975 (“the ‘975 Patent”) for “Apparatus for Removing Air and/or Debris from a Flow of Liquid”. Plaintiff is seeking judgment, ascertainable damages, reasonable attorneys’ fees, and injunctive relief. Plaintiff is an Indiana corporation that owns the rights to the ‘975 Patent. 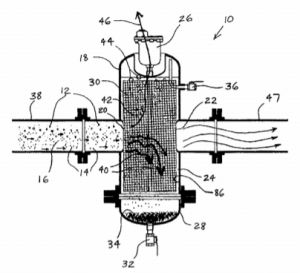 The patent describes a device that filters air and debris out of liquid flowing through a pipe. Plaintiff sells the device throughout the country and Indiana. The complaint alleges that Defendant has manufactured, marketed, and sold infringing devices throughout the United States. In the complaint, Plaintiff has attached a table alleging numerous ways that the Defendant’s device infringes claims of the ‘975 patent. Plaintiff also alleges that Defendant exploited access that it had to the patented device after Defendant manufactured the device for Plaintiff for a short time, and after Defendant purchased a number of the devices preceding the infringement. Plaintiff claims that Defendant used this access to reverse engineer the device and aid in its alleged infringement. Plaintiff has formally alleged two counts of infringement of U.S. patents. The case was assigned to Judge Tanya Walton Pratt and Magistrate Judge Debra McVicker Lynch in the Southern District and assigned Case 1:18-cv-0422-TWP-DML.